If you’re going to build a house, you have to secure the loan. If you’re going on a trip, most people make sure they have enough money for food and lodging. This morning God is asking us to consider the cost of being his disciples. In this final sermon from our series – Weeks of Warning – we will consider just how much God is asking of us as we bear our cross for him through life. Pride is all around us these days. From Olympic and professional athletes to politicians running for public office, it isn’t difficult to find the proud. This Sunday God wants us to look to our own hearts and warns against pride. Jesus calls us to humbly serve those in need. God never intended his people to stay at Mt. Sinai. Moses was trembling with fear at the sight. There is nothing wrong with going to hear God’s law, but the final destination is Mt. Zion. We are there because of what Jesus has done. Don’t choose the wrong mountain. 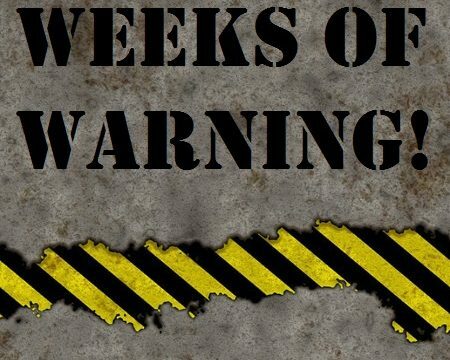 This Sunday we begin a new sermon series – Weeks of Warning. The Christian’s life will be marked by difficulties. The warnings aren’t meant to scare the faithful away, but so that the believers will be prepared to meet these challenges. Our first sermon will be on Faith’s Fire – God’s word doesn’t always unite. Sometimes it divides.